Do you want to work on something that really matters? Something that could change your life and the lives of everyone you know? 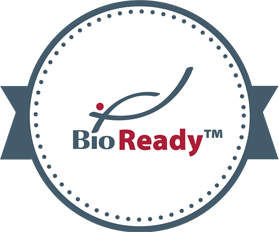 Spartan Bioscience is a leading biotechnology company headquartered in Ottawa, Ontario. Spartan’s mission is to bring the power of DNA testing to everyone with the Spartan Cube, the world’s smallest DNA analyzer. The Cube enables unprecedented portability and accuracy in applications such as infectious disease, pharmacogenetics, and environmental testing. Spartan is seeking an Independent Sales Executive for the first on-site Legionella DNA test to prevent outbreaks of Legionnaires’ disease. Legionnaires’ is a severe and potentially fatal form of pneumonia. It is more common and deadlier than asbestos and each year there are tens of thousands of cases in Canada and hundreds of thousands in the United States. One of the main sources is contaminated cooling towers that provide air conditioning to office buildings. Spartan’s new form of testing is 10X faster and more accurate than the existing testing methods and is being used by leading real estate organizations, hospitals, data center facilities, and water treatment companies around the world. Inside Sales is the engine of the sales organization. The candidate hired for this position will be responsible for the creation of a sales-ready, pipeline by delivering highly-qualified opportunities to our sales teams. In the role of Inside Sales Representative, your mission is to manage both a pipeline of inbound leads as well developing a pipeline of your own through campaign enabled outbound activities. The Inside Sales Representative plays a key role in bridging the marketing and sales teams by managing inbound lead activity, identifying potential up-sell and cross-sell opportunities, qualifying active buying interest, and developing new opportunities through outbound prospecting. The Inside Sales role is a truly unique and exciting opportunity for successful candidates to deliver maximum impact to both the sales and marketing teams, and the broader business. Specific attributes include: You enjoy the challenge of getting the right person on the phone and creating a sales close opportunity, through well thought out conversation, and crafting emails that elicit response from the most senior, hard to reach prospects. You are highly energetic, dynamic and driven. You strive to work with best-of-breed technology and live for the thrill of reaching your targets. This role can be remote (based on experience) or based in Ottawa and report to the Chief Revenue Officer. We work because we believe in what we do. No one punches the clock. Supportive team. We’re here for each other. No lone wolves. Comfortable dress code. Jeans and t-shirt if you’re not meeting customers. Balance work and play. You’re allowed to have a life. We get things done. No excuses. No red tape. Speak your mind. Anyone may challenge the CEO. Waste not, want not. We make the most out of what we have. Meaningful mission. Faster DNA results improve lives. Help make history. Bring the power of DNA testing to everyone. There is such a thing as a free lunch after all. Company lunch every Friday. If you’re searching for a company that’s dedicated to bringing about change, will value your ideas, will invest in your individual growth, recognizes you for your unique contributions, fills you with a strong sense of purpose, and provides a fun, flexible and inclusive work environment – apply now.